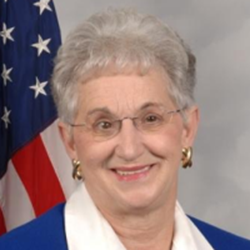 Charleston Voice: Rep. Virginia Foxx(R-NC) will Win Reelection Easily, So Why is She Raking in Big Money from Donors? Rep. Virginia Foxx(R-NC) will Win Reelection Easily, So Why is She Raking in Big Money from Donors? Federal interference and involvement in public education was never a granted right to the federal government, so why are the states' constitutions to do so being violated? Expelling the federal government in their schools via Nullification is the people's lawful choice to end it, and end the federal tax burden as well!